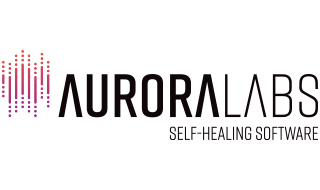 Aurora Labs, the creators of Self-Healing Software to future-proof automotive software, today came out of stealth mode with its solution to proactively manage and significantly reduce the costs of multibillion-dollar software recalls in the automotive industry. The company is developing a self-healing platform for connected cars. Backed by venture capital funds Maniv Mobility, MizMaa Ventures, Expansion Venture Capital, and Trucks Venture Capital, the company is already running several live projects with major OEMs. Aurora Labs monitors on-board vehicle software to detect anomalies before they lead to malfunctions in critical systems. How? By generating entirely new datasets for diagnostic purposes, Aurora Labs is able to proactively detect and repair software flaws in cars before they turn into malfunctions. Once identified, their platform helps providers dispatch first-of-its-kind, universal Delta Over-the-Air (OTA) updates for any vehicle system, by only replacing the functionality which needs to be repaired. The vendor and device agnostic solution removes the current barriers to adoption. With the vast majority of new cars expected to be connected by 2020, manufacturers are faced with the complex problem of providing swift and efficient software maintenance for on-board devices and are increasingly focusing on OTA updates as the solution. Until now, the utilization of proprietary software was a major impediment for developers of OTA services, requiring a solution compatible with each individual provider’s software. Aurora Labs’ supplier agnostic Delta OTA overcomes this barrier by using standardized files which are compatible across all software systems in the car. By enabling seamless OTA updates, Aurora Labs enables automakers to freely operate with any ECU supplier to fulfil OTA services. Their Delta software is also dozens of times faster than current OTA solutions and increases the lifespan of onboard flash memory, all while reducing power consumption.